What's New - The Trainer's Advisory Network Ltd. 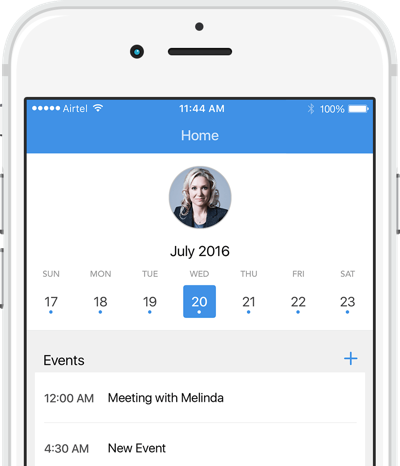 The Future of CRM is Here. So, what’s new in Zoho CRM? Almost everything, to be honest. 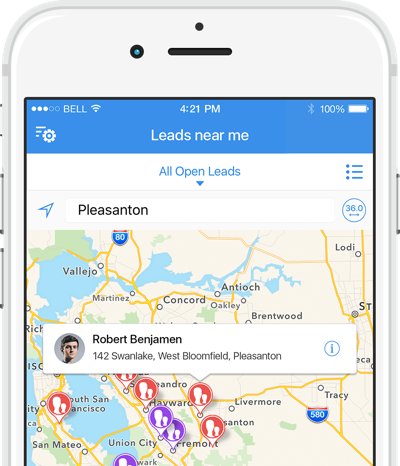 SalesInbox and SalesSignals give you more context for every conversation. Expanded multichannel support makes Zoho CRM 2016 the most tightly integrated system on the market. Add advanced features like Page Layouts, Sandbox, and new customization options, and you can see we’ve gotten a major renovation. The only thing that hasn’t changed? Zoho CRM’s ability to help you close more deals in less time. SalesInbox is the first email client made exclusively for salespeople. Traditional email puts the most recent messages on top, not the most important ones. SalesInbox automatically prioritizes your emails based on filters you define, such as deal value or closing date. 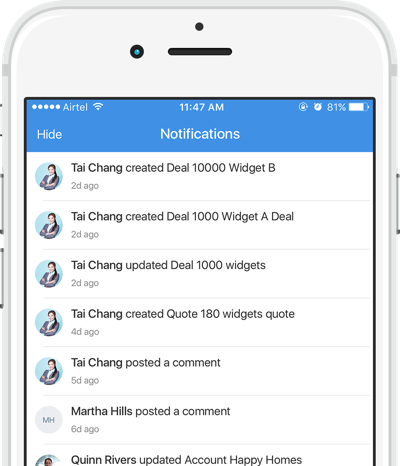 See the entire CRM context before you hit send, all from a single screen. Turn unopened emails into closed deals with the only email client built exclusively for salespeople. No more sifting through endless notifications and irrelevant emails. Get an inbox that cuts through the clutter for you. SalesInbox intelligently organizes your emails into columns according to how you've set-up your CRM. For example, open deals, leads, contacts, and colleagues. To effectively engage customers, you need more than just their basic info. You need to know exactly how your prospects are engaging with your site, how they are engaging with your email marketing if they are speaking with other people at your company and even what they’re doing in social media. And you need to know now, in real time. Gain insights into what your customers and prospects are up to so your team can have more engaging conversations. Follow what your customers are saying about you on social media so you can respond right away. Know what’s working, and what’s not. By combining email with context and analytics, you’ll understand the best ways to engage with your leads, prospects, and contacts. Continually improve your campaigns with reports to see which email templates had the best open rates, and which ones failed to click. For a salesperson, emails are often a grey area, with no clear data on their effectiveness. There can be no room for guess work when you're sending hundreds of emails to leads, prospects, and contacts everyday. Track the sent emails and get insightful reports on whether they've been delivered, opened, and read. Find what you’re looking for. Filter data based on criteria, such as tasks, notes, and emails, to target deals and make sales decisions strategically. Extract valuable information from your CRM with intelligent searches. Advanced Filters let you get beyond simple field values. Search for a range of criteria, from new business with no tasks associated, or contacts that haven’t responded to outreach. Use Zoho CRM's advanced filters to get a list of contacts you haven't heard back from and leads who haven't opened your emails, so you can decide what your next course of action should be. Make numbers fun with Gamescope. Track wins and stay on top of the game. If your business is flexible, why shouldn’t your CRM be? With custom fields, links, and buttons, Zoho CRM gives you everything you need to handle the diverse processes of your business. Choose from customization tools like Page Layouts and Custom Buttons, and get a CRM that works the way you do. A layout for every process. Manage sales for multiple products, geographies, or processes from one CRM system. Page layouts help your sales representatives view and access personalized data, and create workflows to function independently. With fields, links, and buttons, you get everything you need to design your own layouts for each new process.